I was looking for inspiration for a fantastic thick chunky vegetarian curry recipe, but none particularly appealed to me, So, once again, I fell back on my own inspiration and wanting of good healthy food. I ended up with this wonderful recipe, which I use regularly and adapt according to what's in season. Perfect for a cold rainy evening. It is Vegan, and Gluten Free, and only uses one pot (bonus!). I hope you love it as much as my family does. * Add the tin of diced tomato, and the next 4 ingredient spices. * Add the water, and veggie stock, as well as the beans, and lentils. for about another 10 minutes. 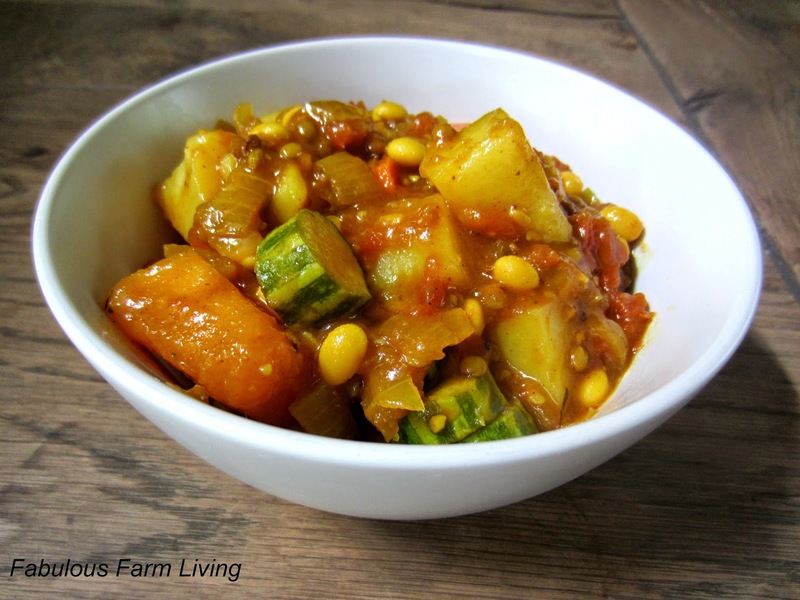 * Add the carrots and zucchini, and simmer until the potatoes and butternut are soft enough to easy poke with a knife. * Add a sprinkle of Cayenne Pepper. * Taste.... add salt, pepper, or more curry powder according to your buds. * Serve with Poppadoms, sambals, and Basmati rice. * Cook the rice in half coconut milk half water - Fabu-licious!!! This looks excellent, I'm sure my husband would love it! Pinning! Thank you so much for sharing this on the Brag About It link party! This looks wonderful, love curry! Pinning for later. Thanks for sharing! 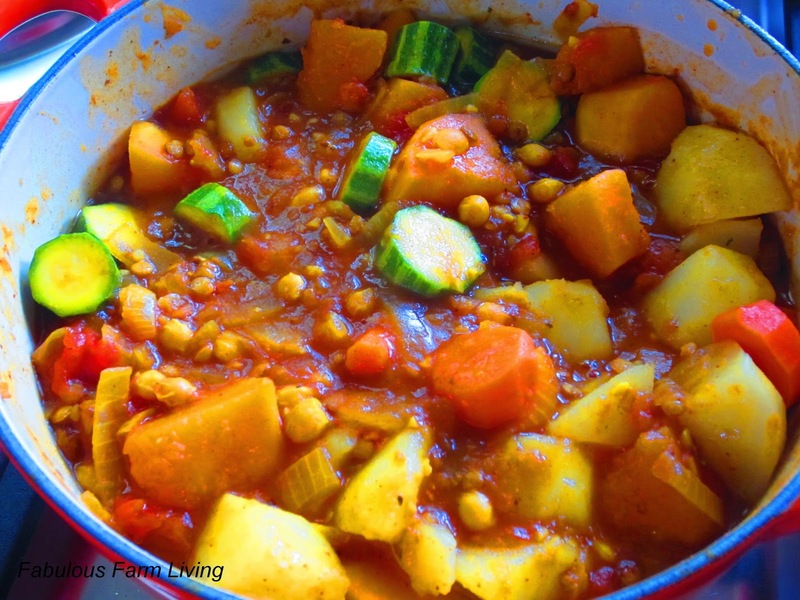 What a healthy hearty recipe filled with so many delicious vegetables. This would really hit the spot on a chilly March day. Thanks for sharing on Real Food Fridays. Pinned & twitted. It looks so tasty, and don't you love how interesting foods taste when you add a little curry. Looks delicious and filling. I love cooking with what we grow in the garden.